Yesterday I had a "genuine" Kobe beef burger. What can I say, I noticed no difference from regular beef at all or perhaps I was expecting too much out of Kobe beef. Either way though it was good. 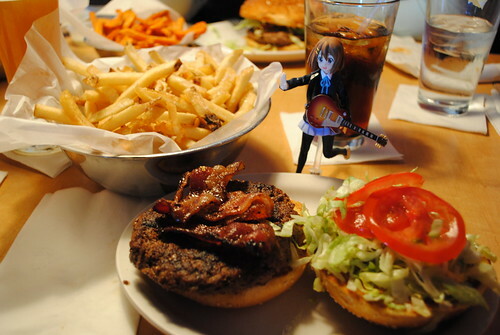 Burger, figma, Hirasawa Yui, K-On!